Canon Solutions America Announces New Cooperative Agreement with County of DuPage, IL and National IPA | Industry Analysts, Inc.
MELVILLE, N.Y., Oct. 1, 2018 /PRNewswire/ — Canon Solutions America, Inc., a wholly owned subsidiary of Canon U.S.A., Inc. today announced a new national cooperative purchasing agreement with the County of DuPage, IL and the National Intergovernmental Purchasing Alliance Company (National IPA) for multi-functional device equipment, supplies, software, and service solutions. This marks the third consecutive contract award for Canon Solutions America. The agreement allows participants including state and local government entities, educational institutions, non-profit agencies, and charitable organizations nationwide to fulfill their printing needs, including within the in-plant and production area. National IPA is a leading cooperative purchasing organization dedicated to the public sector market. The County of DuPage, IL is the lead agency within the cooperative, and the County awarded the current contract as a result of an RFP (Request For Proposal) that utilized a best value procurement process. 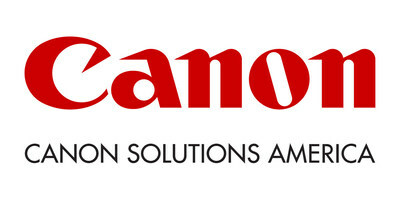 Canon Solutions America scored as top three in all of the required criteria. Canon Solutions America and the County of DuPage, IL have worked together going back to 1988, and the partnership has continued to strengthen through the agreements with National IPA over the past ten years. “The County of DuPage searched, as lead agency through an RFP process, for a firm to deliver supplies and managed print services for all nineteen departments and agencies. When all factors were considered, Canon Solutions America provided the best value through its consultative approach and operational excellence that will provide additional benefits over the five-year agreement,” said Jim McGuire, Procurement Officer. The cooperative contract between the County of DuPage and Canon Solutions America provides National IPA participants full access to the pre-vetted “Best Value” pricing terms and ease of acquisition of all Canon products and services. This includes products like Canon imageRUNNER ADVANCE, imagePRESS, varioPRINT, imagePROGRAF large format, Océ wide format, applications, and maintenance to help meet tomorrow’s requirements. In addition to simplifying the procurement process, a unique component of this five-year agreement is that it allows participating organizations the flexibility to add on additional components and applications as required, helping to eliminate the need for them to go back out for a public solicitation. Current National IPA participants include state and local government entities, educational institutions, and nonprofit organizations in all 50 states, including states and state agencies, cities, counties, municipalities/townships, public and private primary educational institutions and systems, public and private higher educational institutions and systems, special districts (e.g. fire, water, sewer, etc. ), and non-profit agencies and charitable organizations. To read more about Best Value in Government Procurement concepts and practices, visit the NIGP website here. This entry was posted in Canon and tagged canon, imagePRESS, imagePROGRAF, imageRUNNER, varioPRINT by IA Staff. Bookmark the permalink.